Bend Brewfest is a three-day beer festival held each August in Bend, Oregon, which features popular and rare beers from regional breweries. The event is Central Oregon’s largest beer festival and is held in the Old Mill District’s Les Schwab Amphitheater, which has been nationally recognized as a leading outdoor venue. The Bend Brewfest has become a notable part of the burgeoning beer culture in Bend. Each year festival visitors can taste 200+ incredibly rare and popular beers from nano-breweries to some of the most highly recognized craft breweries in the region, in addition to hand-crafted ciders and wine. The festival benefits local charities each year, such as NeighborImpact, a Central Oregon non-profit organization that helps individuals and families access resources in times of need. 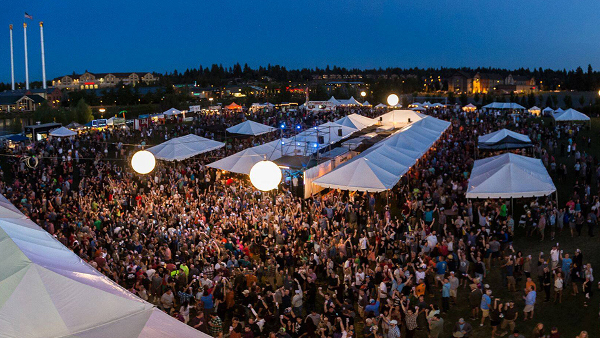 The Bend Brewfest has become a notable part of the burgeoning beer culture in Bend, which features more breweries per capita than anywhere else in the nation and has been referred to as one of the top beer towns in the nation. The festival is noted as one of the top draws for the town.